NOTE: Info on disruption to benefits has been updated since initial publication. The partial federal government shutdown began on December 22 due to Pres. Trump’s demand of $5.7 billion to begin construction on a “wall” along the southern United States border. The federal fiscal year begins October 1. Congress passed seven of the twelve bills to fund the federal government for 2018-19 in September. Members were unable to agree on funding levels for the remaining five so passed a continuing resolution to extend them through December 21. Trump stated his demand in December and Congressional Democrats have refused to agree to it. The wall is an expensive, ineffective, and racist measure that Trump is insisting on for purely political reasons that don’t serve this country’s well-being. It is not a real solution to this country’s immigration challenges. You can read a timeline of the shutdown here. 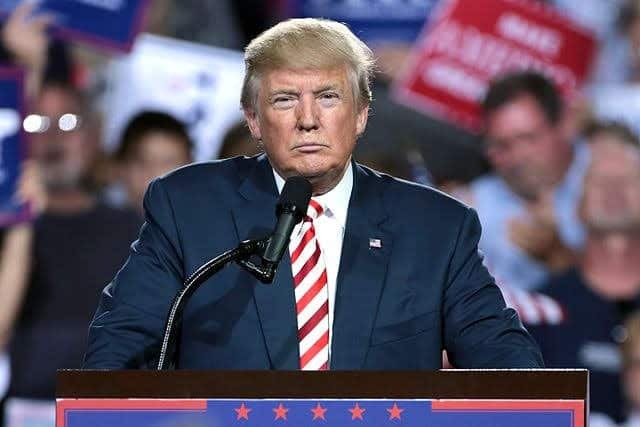 Trump has blocked Congress from passing spending bills to fund a number of critical departments, including agriculture, treasury, and housing and urban development, thus causing the partial shutdown. The shutdown’s effects on providing food stamps, other safety net programs, and tax refunds have important implications for Just Harvest’s mission and our programs. These programs are the cornerstone of the nation’s response to hunger and poverty. The shutdown puts the 1 in 7 Pennsylvanians, including 1 in 5 children, who are facing food insecurity at risk of hunger. The shutdown’s impact on safety net benefits and our economy threaten the well-being of the nearly 4 in 5 Americans who are living paycheck to paycheck, and the nearly 1 in 2 Americans who are poor or low-income. You can read our statement on the shutdown here. The U.S. Dept. 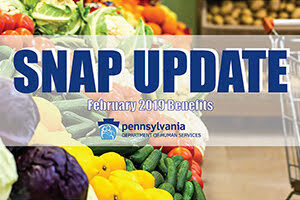 of Agriculture (USDA) instructed states last week to take steps to issue February’s SNAP benefits early. This allowed states to access funding authorized prior to the shutdown. The PA Department of Human Services (DHS) dispersed February food stamps to all recipients’ EBT cards on Wednesday, January 16 instead of their regular allocation dates. That means they received two months worth of food stamp dollars in one month. These benefits will not expire for 12 months. Recipients will need to stretch these benefits until the day of the month in March they would typically receive their next allotment of SNAP benefits. DHS procedures are also in place for getting Feb. benefits to people with pending renewals, new recipients, etc. Anyone whose application is completed between January 16-31 will receive their January and February payment in one payment. Anyone who needs SNAP should apply as they normally would. People can still apply in February and get February benefits. (They will be prorated as they normally would to be partial month amounts.) Until the USDA says that they have used up their $3 billion in contingency funding or directs the state to do otherwise, the state will keep issuing benefits as people complete their applications throughout February. DHS has voiced concern that due to the Trump administration’s inadequate communication and preparation regarding the shutdown’s effects on SNAP, retailers will stop accepting food stamps. DHS is trying to get the word out that food stores and farmers markets should continue accepting SNAP purchases as their reimbursement is guaranteed. However, some retailers have not been able to accept food stamps seemlessly. Due to under-staffing at the USDA from the shutdown, Just Harvest has not been able to get the list of affected retailers in Allegheny County. As of this writing, unless Congress and the Trump Administration resolve the shutdown, there is NO provision for food stamp benefits for March to be issued. This would be an unprecedented crisis for people at risk of hunger across the nation. We cannot sugarcoat this, nor can “charity” meet the enormous need. But there is no need for panic at this point as the situation could change rapidly. Food stamp recipients can contact Just Harvest with any questions at (412) 431-8960 x602 or the DHS Customer Service Center at 1-877-395-8930. The Earned Income Tax Credit (EITC) is the nation’s most effective anti-poverty measure. Low-income households count on getting these dollars back every year. It allows them to pay off debt, make needed house or car payments, important purchases, and fund their yearly budget. The Trump Administration has asserted that the IRS will accept 2018 tax returns beginning Jan. 28 as planned and issue refunds on the normal schedule. Most of the IRS’s personnel are on furlough due to the shutdown. The Trump administration announced they are bringing back part of its staff to process tax returns, though they will be unpaid. These workers will also have to contend with new tax laws and regulations taking effect. Whether the Trump Administration and the IRS actually have the sufficient staff in place to meet this commitment won’t be known until they actually begin to issue the refunds. It looks doubtful, but again, the situation could change rapidly. Our annual Free Tax Prep program will begin on January 22 as scheduled. People claiming the EITC and/or other refundable tax credits will not begin receiving refunds until February 15. This is a continuation of existing IRS procedures unrelated to the shutdown. USDA has asserted that School Meals programs have sufficient appropriations through March and WIC has sufficient funding through February. Exactly how individual states and school districts manage their cash flow for school meals and WIC is somewhat less clear. Exactly when Pennsylvania could run out of money for these programs is still up in the air. Again, the situation could change rapidly. 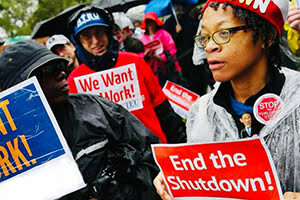 Join us on Tuesday, Jan. 22 to Tell Sen. Toomey: End the Government Shutdown! Help spread the word about how this shutdown is affecting our vulnerable friends and neighbors. Just Harvest will keep updated. You can follow us on Facebook or sign up for our emails.